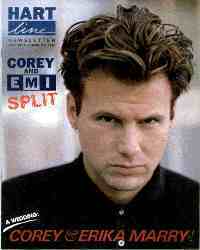 Shades, the first official Corey Hart fan club opened in 1985 as Boy In The Box became a best selling album. 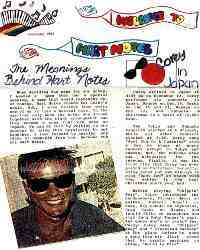 As Corey Hart sky-rocketed to stardom, the team at Shades (which included Erika Gagnon, Corey Hart's then girlfriend, and Mindy Hart, his mom) did their best to keep up with the thousands of membership requests and letters that came in by the truckload. Shades lasted three years, shutting its doors in 1997 when Corey Hart collapsed from exhaustion after releasing three albums in four years and doing two world tours. 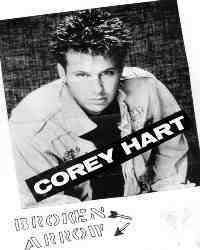 Hart-Line was the official Corey Hart fan club 1988 and fading out in 1991 after the release of BANG! and the marriage of Corey Hart to his first wife Erika Gagnon. Though HART-LINE was comprised of the same team that formed SHADES, the quality of the newsletter and its information was much higher. 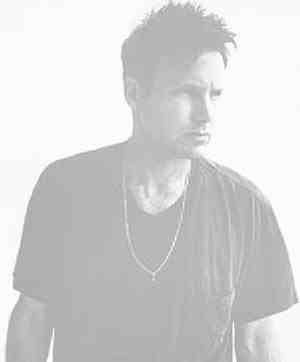 Though the club did not reach the scale of memberships SHADES had seen, many members felt a closer connection for the club fostering the hands on attitude Corey Hart has always attempted with his fans. 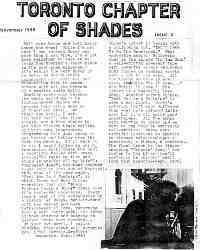 The Shades Team opened in Nov. 1986 with 30 members and grew to over 100. Unfortunately, they were forced to turn away some memberships. The goal of The Shades Team was to increase Corey's popularity where possible. They were able to promote Corey Hart Day on May 31. In Aug. 1987, they held a Team Reunion in Montreal where they met Corey's management staff and had lunch with them. Then in Sept. 1998, they had the second Team Reunion in Montreal, where they attended Corey's concert at The Montreal Forum.They shut down due to the lack of time by the management. There was a brief Reunion of The Shades Team in 1991, it didn't last the year. The Toronto Chapter was run by Beth Rutledge in the late 1980s. The Corey Cult was run by Matthew (Sunglasses) Burlingame in the late 1980s. The Cult lasted approximately 5 years, yet ran into many of the same problems other Corey newsletters struggled with. 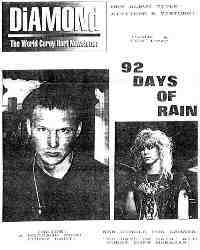 The Cult published a newsletter called "The Broken Arrow" and sponsored projects such as birthday packages and Video projects. The Cult was also somewhat controversial, tackling topics such as "Is Hold On a 'real' Corey Hart Song" and "Is Corey Gay?" Membership reached over 60 members by its last issue. 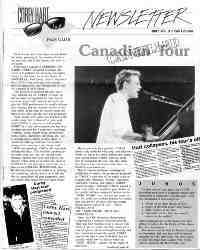 The HART-NOTES was a small newsletter run in British Columbia Canada by Kitty Cheng in the late 1980's. The Diamond was established in 1990 by a husband & wife team in Canada. Erika & Dan Vernaet ran the Diamond for over 5 years. The same team later began a newsletter titled "Written In Jade."